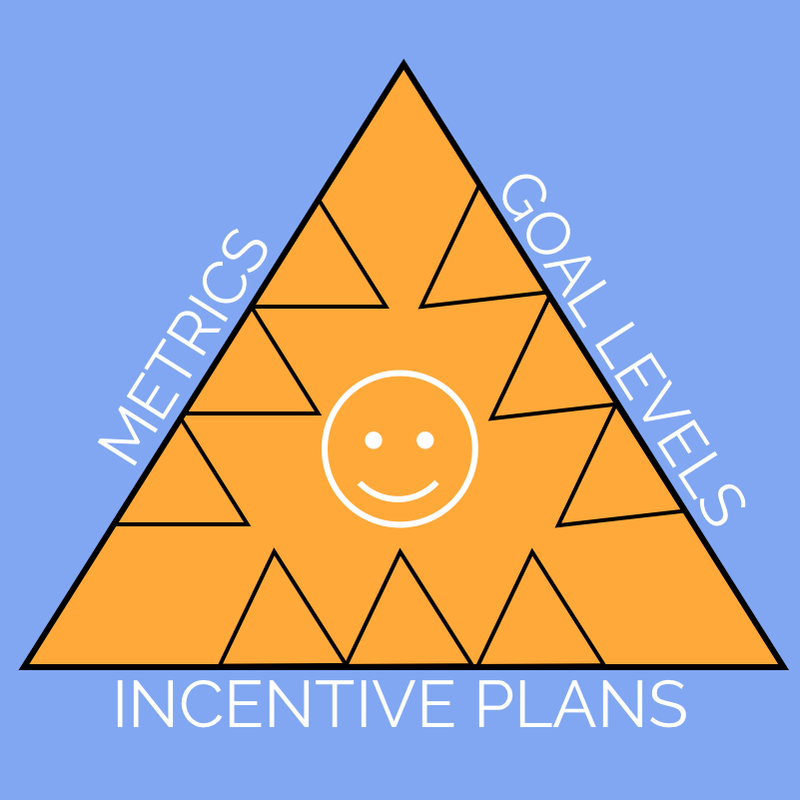 Over many years I have come to rely on what I call the Incentive Plan Rule of Three. No more than three metrics (KPI), no more than three defined goal levels, no more than three incentive plans for any one individual. This rule can be broken or ignored, but only after I have determined there is simply no way to apply the Rule of Three. Many disciplines have their own Rule of Three, it’s time the compensation industry had a cool magic rule. Three metrics gives enough room for differentiation, while also providing enough weight to each metric to ensure it has a measurable impact. With five or more metrics, none of them will have a weighting of more than 20%, or at least one will be so low that it is designed to be ignored. One or two metrics can work well, but it can be difficult to get agreement on that type of focus. Most incentive plans use three-level goal setting. Nothing revolutionary here. Very few employees get excited when you layout ten different levels of performance with various payout percentages. Restricting an individual more than three programs (that have performance-based goals) is also about ensuring enough value to deliver impact, but there is another practical side as well. Most people find it hard to remember more than three things for extended periods of time. If you have three plans and communicate them well, you may get most of the participants to remember the purpose, the most important metrics and the potential value of each. Any more than that and I find people start “misremembering” things pretty quickly. I find that the Rule of Three works for nearly every incentive program, for nearly every company, and in nearly every industry. Like many good things, the process requires some additional thought and effort, but the results are effective, manageable and easy to communicate. Would the Rule of Three work for your company? If not, how would you improve it?